You can search hunt clubs in North America. Click on Hunt Club Pages under the “Horse and Hound” drop-down menu. The Border Terrier is a familiar breed to foxhunters, especially in the sheep farming districts of England and Scotland. They were bred on the English-Scottish Border to run with the foxhound packs. 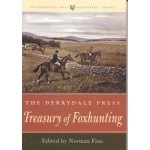 When the fox went to ground the Border Terrier would go in and bark so the men knew where to dig. But did you know that a Border Terrier named Owney was the first nationwide mascot of the United States Postal Service? Owney reigned for nine years, from 1887 to mid-1897, traveling over 140,000 miles throughout the forty-eight states and around the world. Owney belonged to a clerk at the Albany post office who often brought the dog to work. He seemed to love the smell of mail bags and slept on them whenever he was there. The clerk eventually quit the post office, but knowing that the dog seemed happiest with the mail bags, he left him beind. The postal employees in Albany soon discovered that Owney didn’t want to leave the bags when they were loaded onto the trains, so he was allowed to travel with them. Soon after our arrival in the States, Sarah and I were left in charge of Bryn Mawr Farms while the rest of the help went with the show horses to the Harrisburg Horse Show for the week. Jamie promised the two of us cubhunting from the farm and cocktail parties at the show as a reward. I took the week off as a break from my office job. This I quickly realized was going to be anything but a vacation. 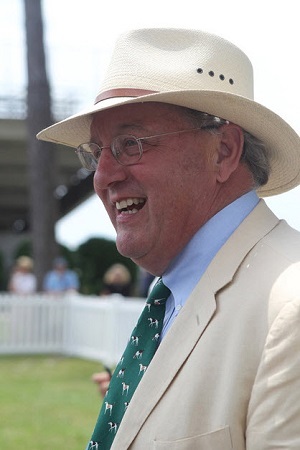 Mason Lampton, MFHMason Lampton, a long-serving leader of the sport of foxhunting in North America and MFH of the Midland Fox Hounds (GA), has another sporting life. His alternate Field of Dreams to the hunting field is a polo field. The phrase, “If you build it they will come,” must have rattled around in his head for a while before he decided to transform a fallow potato field in Northern Michigan into a first-rate polo field. This year, having completed its eighth season, Bliss Polo is bringing players and spectators to matches all the way to the northernmost shores of Lake Michigan. Near the Straits of Mackinac. Who would have thought? 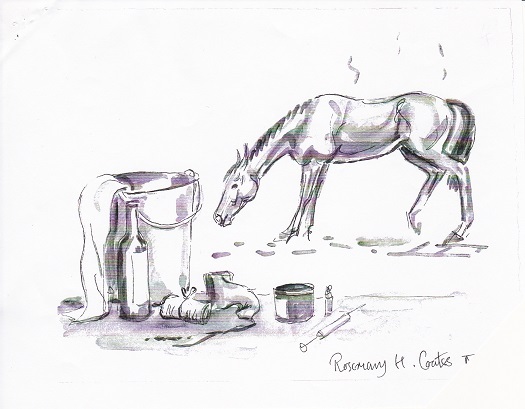 The Connecticut Cancer Foundation (CCF) of Old Saybrook, Connecticut will celebrate their Inaugural Gallery Exhibition, Horses: In Harmony, with a Reception and Gallery Discussion open to the public. The exhibit will be curated by Marsha Malinowski of Malinowski & Associates, Fine Art Advisory. The celebration will take place on Friday, September 28, 2018 from six to eight pm. The exhibition will remain on display from Friday, September 28 until October 26, 2018. It is the first such exhibit to be presented in the new CCF Gallery in Old Saybrook, and it will introduce three acclaimed Argentinian artists to the American art world—sculptor Marcela Ganly, artist Esteban Diaz Mathé, and photographer Aldo Sessa. Jefferson “Tot” Goodwin and his wife Colleen have established a new hunt, the Goodwin Hounds, to hunt country in Inman, Statesville, and Union, North Carolina. The country was previously hunted by the Stonebroke Hounds which disbanded in the late 1990s. 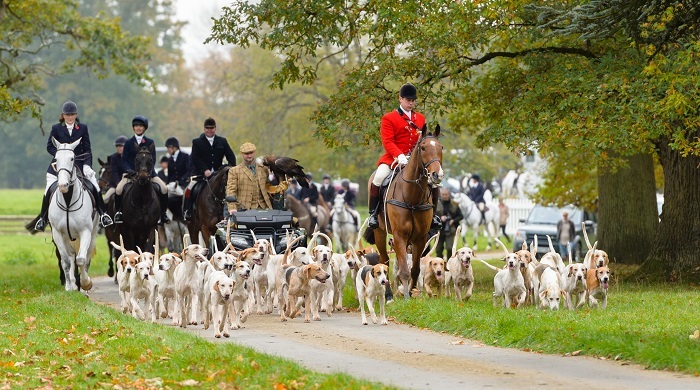 Landowners seem to be prepared to welcome the return of foxhunting to the area. Not long ago there were there were four hunts in the Foothills area in the northwestern part of the state: Green Creek Hounds, Tryon Hounds, Greenville County Hounds hunting the Gowensville area, and Stonebroke Hounds hunting in Inman. The Greenville country has been assigned to Tryon by the MFHA, and Goodwin has permission to hunt from landowners in the old Stonebroke country. He plans to start small and has applied to the MFHA for Registration. 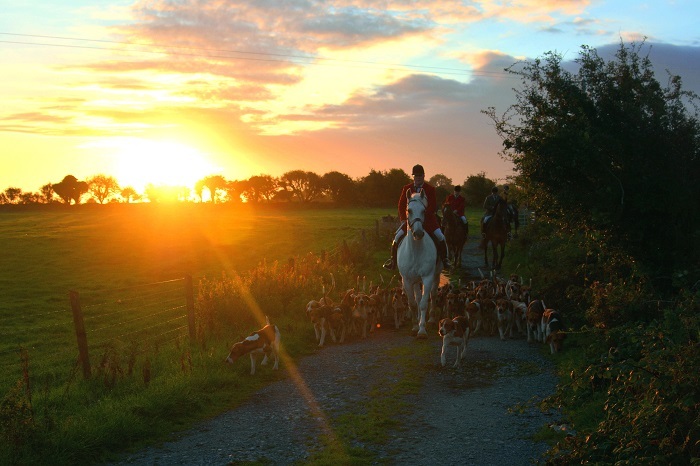 Everything that happens in the hunt kennels and hound shows during the spring and summer seasons are just activities and events that lead up to the first morning of the autumn hunting season. 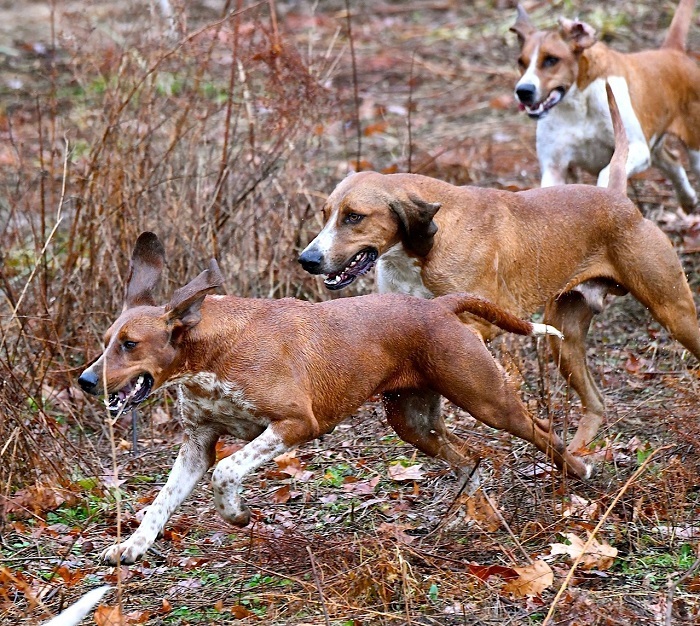 It can be August for some packs and September for others when hounds are allowed to run for the first time. The huntsman will have planned and implemented the breeding of his new entry probably two years beforehand by selecting a stallion hound that he thinks would match a bi*ch in his kennels, and indeed raise the profile of the rest of his pack. He may want to breed more drive into his pack by selecting an Old English cross, or more voice by selecting an American cross. Statistics show that the Hunting Act of 2004 “lies in tatters” and should be re-examined by Government for being “too complex,” according to hunting advocates. Less than half the cases prosecuted under the Hunting Act resulted in convictions in 2017, while the overall national conviction rate for all other matters in both magistrate’s court and Crown Court averaged between eighty and eighty-five percent. For prosecutions in 2018, the average conviction rate under the Hunting Act so far stands at forty percent. These conviction rates are the lowest since the Act came into force in 2005, falling from a high of just fifty-four percent in 2016. Can My Foxhound's Aggression Be Curbed?